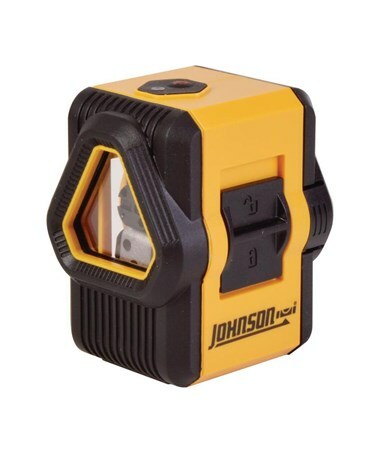 Combining the features of a cross-laser with the additional 90° plumb line, the Johnson Self-Leveling Cross and Line Laser is useful for checking square reference of beams, posts or any other objects. It is also ideal for flooring and alignment and can be used for indoor applications such as cabinetry, drop ceiling installation, wainscoting, carpentry, tiling, drywall track/stud wall installation, and plumbing. The Johnson Self-Leveling Cross and Line Laser project up to three laser beams simultaneously to plot both crosslines and a plumb line, or either line individually. The tilt or manual mode can be used to project orthogonal lines at any angle for stairs and other non-level applications. Equipped with a magnetically dampened compensator system to stabilize the pendulum quickly and accurately. The locking mechanism protects it during transportation. 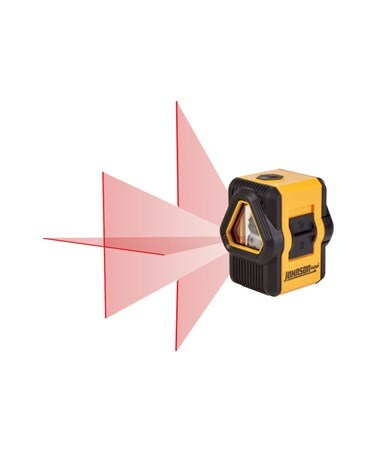 With the visual out-of-level indicator, the user is alerted when the laser is beyond its leveling range of ±5°. 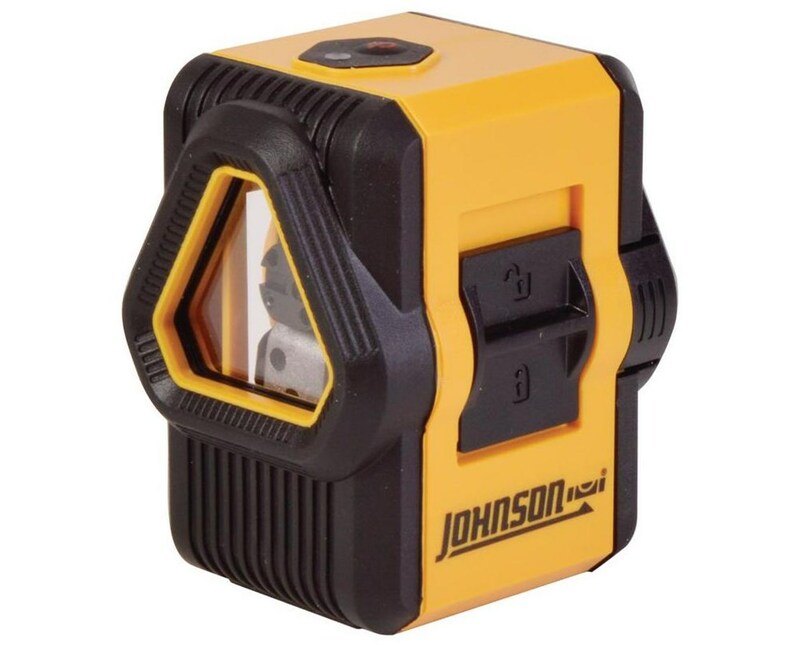 The Johnson Self-Leveling Cross and Line Laser comes with an accuracy of ±5/32 inches at 30 feet and has a working range of up to 50 feet. It also comes with 2 "AA" alkaline batteries and lasts up to 10 hours of continuous use. With an IP50 protection class, it is dustproof and waterproof. This laser comes backed by a 2-year warranty. Working range up to 50 ft.